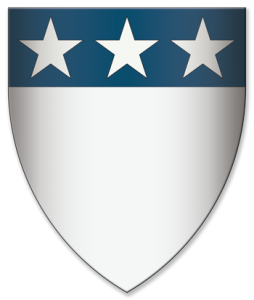 James Douglas was born about 1286, the son of Sir William Douglas “le Hardi” and Elizabeth, a daughter of Alexander, High Steward of Scotland. James’ father, William Douglas, fought in the first Wars of Scottish Independence, was captured by Edward I in 1297 and died in the Tower of London in 1298. Edward subsequently granted the Douglas lands to Sir Robert Clifford. James grew up in France but returned to Scotland about1304 when he asked Edward I to restore his lands. Edward refused so Douglas joined Robert Bruce becoming one of his most trusted friends. He was a determined guerrilla fighter and took part in many border raids avenging his father’s losses between 1306 and 1308. With his cousin Walter Stewart he was knighted at the Battle of Bannockburn. Some sources suggest that the pair led one of the three divisions there and it is known that Douglas chased the fleeing Edward II through Winchburgh to Dunbar, but Edward escaped thanks to Patrick de Dunbar. Douglas continued to support Bruce in the years that followed Bannockburn and was involved in a number of campaigns and skirmishes on both sides of the border being rewarded by Robert I with various grants of lands. On his deathbed, Robert Bruce charged Douglas to take his heart to fight the ‘Saracens’ in the Holy Land. Douglas, with many Scottish knights sailed from Montrose to Flanders in early 1330 and from there to Spain. In Spain he joined Alfonso XI of Castile in his war against the Moors of Granada. Douglas went into battle at Tebas de Ardales on 25 August 1330, but the Scots were cut off from the main body of the army and Douglas was slain. The heart of Robert Bruce and the bones of Sir James, Lord of Douglas were brought back to Scotland by Sir William Keith of Galston and Douglas’s remains were interred in the Church of St Bride at Douglas where there is a monument with an effigy. The name of Douglas’s wife is unknown, but they had a son, William who died childless at the Battle of Halidon Hill on 19 July 1333. James also had an illegitimate son, Archibald Douglas, who succeeded to the lands and titles.